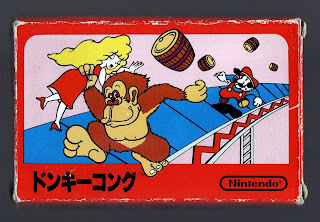 Ask a random stranger--yes, even that old lady with the bird in her hair--what she thinks about the Famicom version of this classic quarter-muncher, and she's sure to tell you, eyes mid-roll and nose upturned, "Well, it certainly isn't as good as the arcade original." That it isn't. 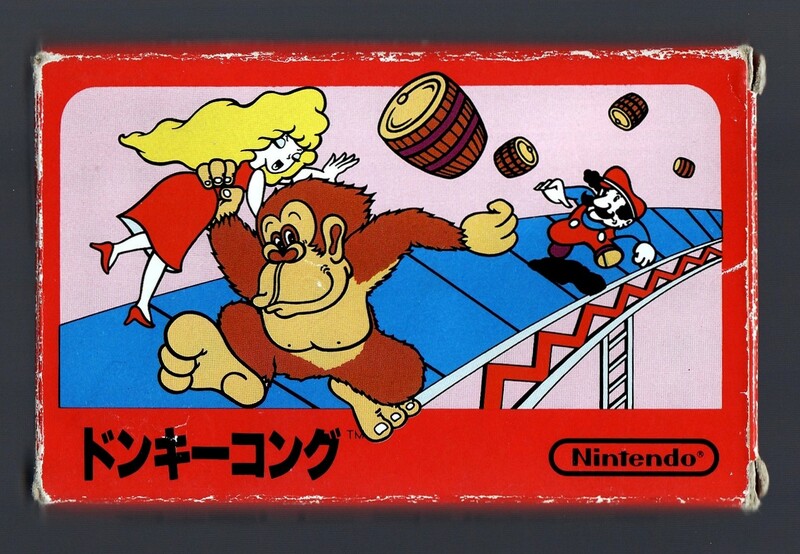 After all, it's missing an entire stage--the cement factory, as it's called by Donkey Kong fanatics--for starters. It's also missing the "How high can you get?" screen and a few between-stage animations. Other than that, though, this 8-bit adaptation is amazingly spot-on, especially considering its age. 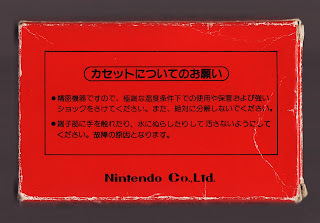 That's not the only reason to pick up a (complete-in-box) copy of this early Famicom release, though. Another: It sports a pretty cool piece of cover art (as you can see in the scan above and in this photo). I wonder if this particular release lead to noticable profit changes for the arcades? Or was it a clever move and all in Nintendos secret plan? Poor Pauline is having her internal organs crushed on the cover...what a brute! Save her, Mario, before her spleen bursts!!! What do you mean, Linnea? Are you wondering if this release (and other such arcade ports) led to a drop in profitability of arcades? I would guess that was the case, but I can't say that with any authority. Nintendo definitely tried to bring the "arcade experience" home with the Famicom, especially at first. After all, their first few releases were ports of their Donkey Kong, Donkey Kong Jr., Mario Bros. and Popeye arcade games. It's funny how my opinion has changed regarding these titles over the years. As a kid, I thought they were horrible -- because they weren't, in my mind, "arcade perfect." Now, though, I see that they were *nearly* arcade perfect, which is pretty amazing given their age and the Famicom's tech. Oh, you're too funny, Justin :) Poor Pauline does seem to be in a bad spot, though, doesn't she? DK is squeezing her so tightly that her tongue is sticking out! I love that box. It is fantastic. I wish I had a boxed version of DK!! Pauline is definitely going to have some giant-ape-finger shaped bruising on her hips in the morning. 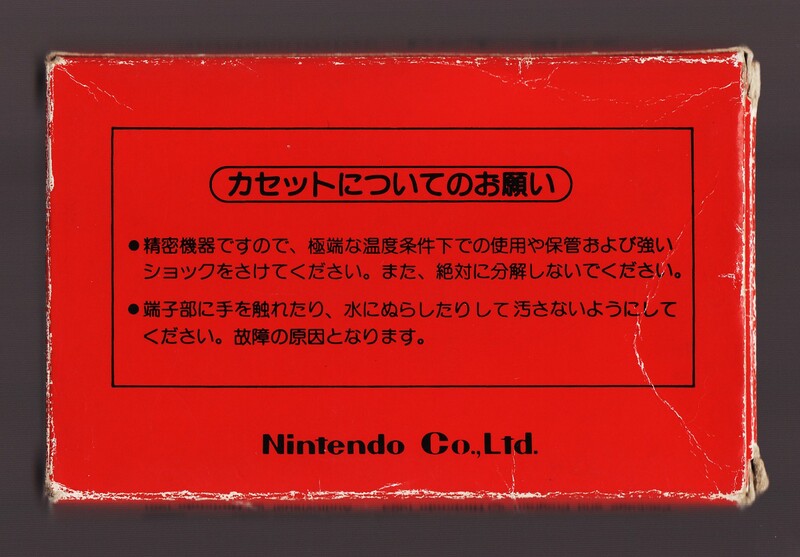 Incidentally there are two versions of the DK Famicom cart. The pulse line version and another version which has that cover art on the label. It is a great box, isn't it, Sean? I also really like the DK Jr. and Mario Bros. boxes. What in the hell does 'Engacho!' mean, anyway?